Forget New York, Chicago should be top of the list for a Christmas shopping mini-break. Sarah Freeman discovers how to get the most out of 72 hours in the Windy City. The horizon is dominated with skyscrapers, right in the middle is a bright and shiny one they call Trump Tower. There’s a Bloomingdales and a Macy’s within yards of each other, a steady stream of bright yellow taxis. Lord, there’s even a couple of policemen on the street corner drinking coffee and eating doughnuts. We could be in New York, but in fact we are a few hundred miles to the west in Chicago, a city which should market itself as a laidback, friendlier version of the Big Apple. In the Windy City, white Christmases are all but guaranteed and with the flight time just an hour longer than to New York it’s also the perfect alternative to Manhattan for a Christmas shopping weekend. Before hitting the shops, hop on board on of the city’s architecture cruises which will take you on a 90-minute tour up the Chicago River and through 100 years of history. It will also bring you up close to some of its most famous landmarks from the Gothic Tribune Tower to the oh so 60s Marina City apartments, which look like two giant corn cobs. History lesson done, it’s time to shop. Running through the heart of downtown is the street they call the Magnificent Mile. Now American’s might be prone to grand statements, but here the name is justified. In between Bloomingdales and Macy’s, those twin pillars of shopping heaven, there’s pretty much every designer name you can think of. Marc Jacobs. Check. Rolex. Check. Gucci. Check. If you are on a budget, no problem. Intersperse a spot of window shopping with a visit to Sprinkles Cupcakes and if the shop itself is closed you can order your favourite through an ATM outside. Talking of food, if you can bag a table at Alinea, Chicago’s only three-star Michelin restaurant where chef Grant Achatz serves his signature dessert straight onto the table and where diners are offered edible apple balloons. Having seen Chicago from below, you really need to see it from above. That either means a trip to the John Hancock Building or Sears Tower – the latter was rebranded Willis Tower a few years ago when an insurance company moved in, but this being Chicago the locals have refused to acknowledge the change of name. At the Sears you can stand on a glass ledge and hover above the city below. More stomach churning still is The Tilt on the 94th floor of the John Hancock, where for $8 you can stand on a platform and be tilted 30 degrees outwards. Getting around Chicago via the CTA train network is cheap and easy, so once back on terra firma head to the Wicker Park, Chicago’s indie-hub where bright young things hang out. Contained within a few streets, there’s everything from vinyl record to vintage clothes stores and a branch of Stan’s Donuts – trust us, the chocolate orange old fashioned is delicious. In the evening, treat yourself to a show. Like New York, Chicago is big on musicals – this is where the worldwide hit Hamilton chose to come first after Broadway. If stand-up is more your thing, try Second City in Chicago’s old town, the legendary comedy venue where Robin Williams, Dan Ackroyd and John Belushi first flexed their comedy muscles. 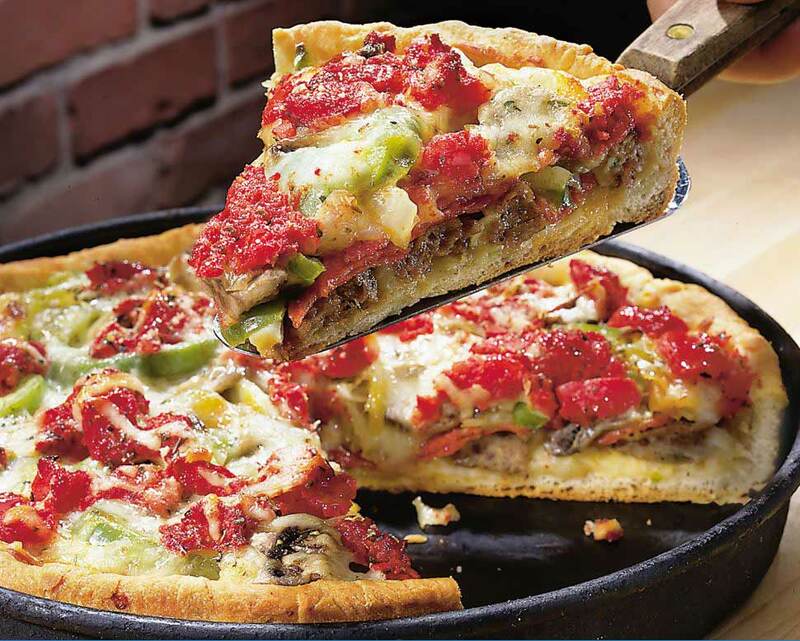 Afterwards make a beeline for Pizzeria Uno which stays open until the early hours. This is where the deep pan pizza was born and it has now become a bit of a Chicago institution. 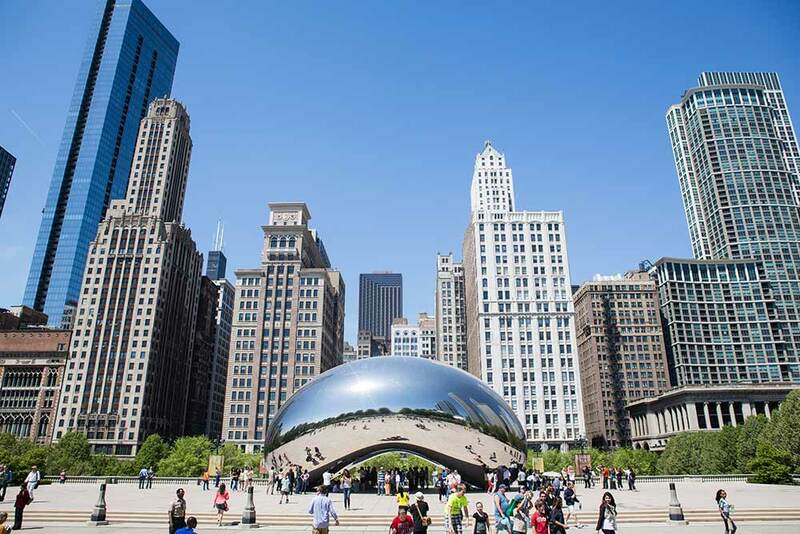 Chicago is big on art – there’s a sculpture on pretty much every street corner – so get up early and head to Millennium Park, which is home to one of the best modern art museums you’re ever likely to come across and a giant silver bean. Designed by British Artist Anish Kapoor it’s also Chicago’s selfie hotspot. Just across the road you’ll find the German Market, which pops up from November each year, but for something more authentically Chicago, hop on the CTA to Fulton Market. Back in the day this was the unglamorous centre of the meat-packing trade, but now those sketchy old warehouses are finding a new use as some of the city’s best bars and restaurants. It’s where chef Stephanie Izard has set up home and if you can’t get a table at her Girl and the Goat restaurant, try the Little Goat Diner just opposite, where you can choose from a smaller, but perfectly formed, menu of comfort food with an Asian twist. No trip to Chicago would be complete without a visit to a blues club and one of the most popular is Kingston Mines where two bands perform alternately on two different stages. It’s loud, it’s packed and it doesn’t close until 4am. 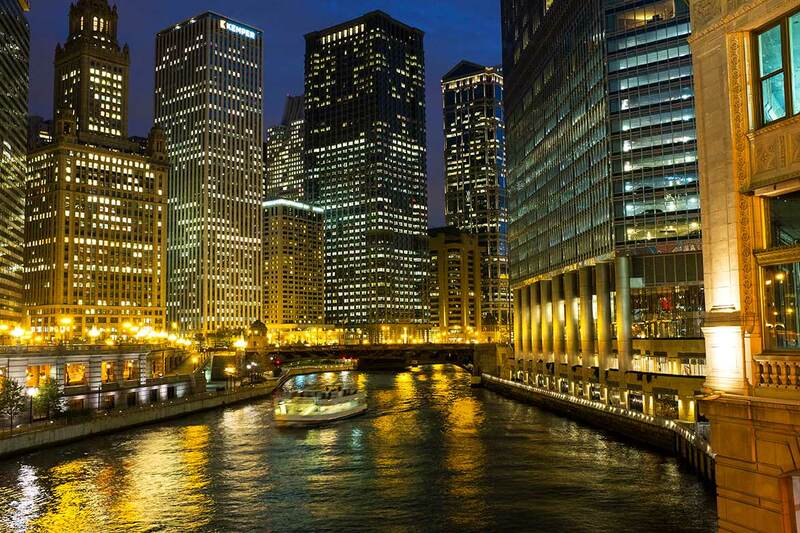 Just like New York, Chicago is a city which never sleeps. We stayed at Claridge House in Chicago’s Gold Coast just a short walk from Lake Michigan and the Magnificent Mile. Eight day’s car hire starting from Chicago with Hertz.co.ukcosts from £28 per day. For further USA road trip inspiration, downloadable maps and insider guides head to the Hertz American Road Trip Planner at www.hertz.co.uk/p/american-road-trip-planner.